And these offer a lot more power than the base four-cylinder Camaro. Chevrolet recently. For that, you'll get a 2.0-liter turbocharged four-cylinder engine producing 275 horsepower and 284 lb-ft of torque. Chevy hopes this cheaper Camaro will help. 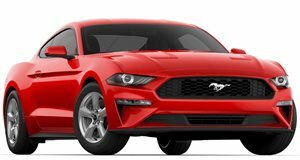 While this is a lot more than you'd get in similarly priced cars like the Toyota 86 and Mazda MX-5, it isn't as much as the Mustang EcoBoost. It certainly isn't as much as what you'd get throwing the same money around on the used market. In fact, if you're in the market for a sports car or muscle car, here are seven more powerful and less expensive used alternatives to a four-cylinder Camaro. GM's four-cylinder turbo is a pretty impressive engine, but a Camaro is best enjoyed with a V8. 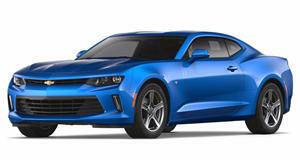 For less than $25,000, you can get a fifth-generation Camaro SS powered by a 6.2-liter V8 producing up to 426 hp. Six-speed manual and six-speed automatic transmission options are available, both sending power to the rear wheels. It may not have as nice of an interior as the current sixth-generation car, but many people seem to be disenamoured with the looks of the facelifted 2019 Camaro. For 2019, Chevy will offer a 1LE version of the four-cylinder Camaro, which should appeal to enthusiasts who want an affordable track car in the low $30,000 range. This sounds pretty good, but for less than $25,000 we'd rather have a Ford Mustang Boss 302. This special edition Mustang upped the 5.0-liter V8 from 420 to 444 hp and the only transmission option was a six-speed manual, making this Mustang a true enthusiast's car. The Camaro has been shedding its reputation as a muscle car thanks to GM's excellent Alpha platform. Dodge, on the other hand, is sticking true to its muscle car heritage with the Challenger, which is based on an aging Mercedes platform. Some people just want a large, comfortable car with a big V8, so the Challenger is still a good option. 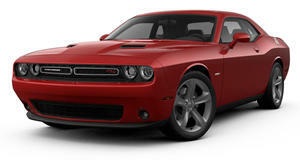 The Challenger R/T comes with a 5.7-liter V8 producing 375 hp going out to a six-speed manual or eight-speed automatic. If you are willing to go a bit older, you can find an earlier Challenger SRT-8 with a 6.1-liter V8 producing 425 hp. As the Camaro continues to improve, it will draw a lot of competition from other brands, including luxury automakers. 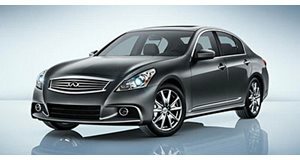 If you want a luxury sports coupe, the Infiniti G37 may be a nice option. Power comes from a 3.7-liter V6 producing 330 hp going out through a seven-speed automatic or rarified six-speed manual. We even found a . If you can live without a back seat, the Nissan 370Z is also a nice Camaro alternative that is now extremely affordable. Perhaps you have an important job and you are hoping to make a good impression by driving a luxury car. 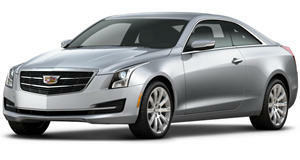 The Camaro doesn't exactly scream maturity, so we'd recommend the equally fun Cadillac ATS. Like the Camaro, the ATS is based on the excellent Alpha platform. It is also powered by a 2.0-liter four-cylinder engine, although it produces a bit less power - 272 hp to be exact. Unlike the Camaro, the ATS can also be had as a sedan for those who need easy access to the rear seats. The only downside is you'll be forced to use Cadillac's CUE infotainment system, which is actually worse than Chevrolet's version. Used prices start at around $11,000, making this Caddy a huge bargain. Many people buy a Camaro because it offers better value than the equivalent German sports car. However, if you are talking about a used German car versus a new Camaro, the German car can actually be the better value. BMW's 135i offered a turbocharged inline-six producing 300 hp. Transmission options included a six-speed manual, six-speed automatic, or seven-speed dual-clutch. For 2013, BMW introduced the 135is, which upped the power to 335 hp. A used 135i can be found starting at just $10,000, ranging to over $20,000 for a 135is model. If you are willing to buy an older car, one of the best budget options is the Pontiac GTO. This was essentially a rebadged version of the Vauxhall/Holden Monaro, which means it was powered by either a 5.7-liter V8 producing 350 hp or a 6.0-liter V8 producing 400 hp. Prices range from around $9,000 to around $20,000 for low-mileage examples. It may not have the modern technology of the new Camaro, but the GTO is still a great car for muscle car enthusiasts on a budget.